Paris may be one of the world's esteemed gastronomic capitals, but visitors with kids may cringe at the idea of finding something for their little ones to eat, summoning up visions of their youngest picking at a too-rare steak, or fussing over unfamiliar vegetables and "fancy" ingredients. Even teenagers may be unadventurous eaters who just want something simple and uncomplicated and are sometimes equally susceptible to find French-style cuisine a little too outside of their comfort zone. Luckily, despite its reputation for being unforgiving and inflexible where customer needs are concerned, Parisian restaurant culture can be surprisingly kid-friendly: it's all a matter of recognizing the kinds of establishments that more freely cater to young and picky eaters and those that are less likely to accommodate them. The answers may surprise you. Here are lots of great tips on how to keep your youngest family members' palates and tummies happy during your trip. 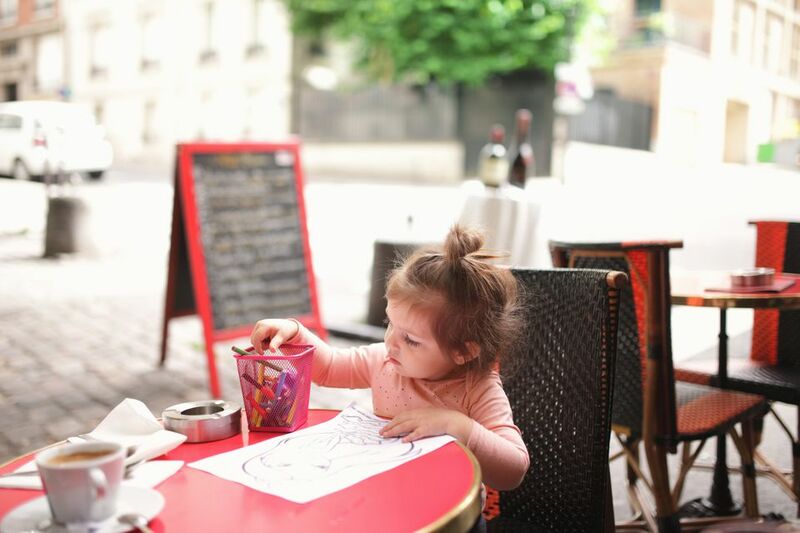 If you're trying to find a quick and decent meal in between sightseeing or before you head out of Paris for a day trip to Versailles or Disneyland, there are plenty of easy options that should satisfy your youngest family members' palates. Since kids tend to prefer bland and simple flavors and textures over subtle, complicated ones, items like plain crepes with cheese, mushrooms, sugar, or Nutella, sandwiches, or even falafel, are apt to please picky eaters. For a quick sit-down meal, don't hesitate to try any decent-looking corner cafe-brasserie close to where you're staying or touring. Most Parisian brasseries serve simple dishes like plain omelets, cheese sandwiches, pasta with plain tomato sauce or Emmental cheese, or breaded fish, all items that are a hit with kids. An added boon? Many of these family-oriented, relatively informal restaurants offer kid's menus—make sure to look for signs or menu sections labeled "menu enfant" or ask the waitstaff if they offer special items for kids. Are the kids craving hamburgers, fries, and other American classics? You can find some ​American restaurants and shops in Paris if you want to find something that reminds them of home. Many, if not most, cafeterias and restaurants in major museums and monuments around the city offer kid's menus—again, look for signs reading "menu enfant" when in doubt or ask the staff if they have special offerings for young eaters. If you're dying to try that two-star Michelin restaurant in Paris and don't want to have to find babysitting for the kids or picky adolescents, fear not: Some of the better establishments in Paris pride themselves not only on the gastronomic experience, but on making customers happy. Some people report having called even the most high-end Parisian restaurants in advance to ask whether they can make a simple dish (pasta with cheese, for example) for kids, and many restaurants will comply. Some even have special gastronomic "menus enfants" (although you should be aware that French ideas of what kids like and tolerate may well be different from yours). In all cases, if there's a particular restaurant you want to try, whether high-end or mid-range, make sure to call or email ahead and before reserving, to avoid disappointment and stress. There are no guarantees, but some of the better restaurants make a point of catering to the needs of customers, and this includes preparing special items for kids that aren't on the menu. Best chocolate shops in Paris (be sure to check out Patrick Roger for his whimsical, giant sculptures of polar bears and other animals).